So back when I started my Marvel Cinematic Universe posts, ABC was part-way into Season 2 of “Agent Carter”. At that point, I had no way of watching Season 1 to catch up for Season 2. Recently I learned that Hulu had both seasons available. So as I’ve been binging the whole Marvel Cinematic Universe (everything: movies, Netflix shows, network shows, etc.) I worked “Agent Carter” into it all. So now that I’ve watched both seasons, it’s time to backtrack and cover Agent Peggy Carter’s adventures. Season 1 follows Peggy and Edwin Jarvis trying to clear Howard Stark’s name. Meanwhile, Peggy needs to maintain her job at the SSR where she’s constantly undermined. So here we go. 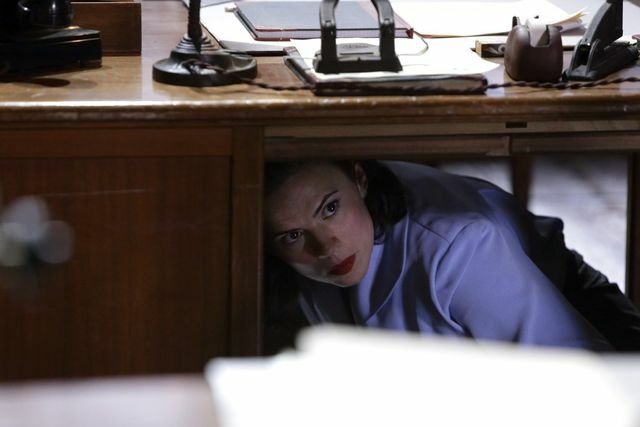 In 1946, Peggy maintains her cover while working at the SSR. The SSR investigates Howard after his inventions get stolen. Howard asks Peggy to help clear his name. Jarvis helps Peggy recover Nitramene and she narrowly escapes the implosion of Roxxon. As Peggy confronts, Brannis dies in a conflict with a man in a green suit. At her new apartment, Peggy meets Dottie Underwood. SSR finds Green Suitt's transmitter. Peggy and Jarvis track Howard’s inventions and tip Agents Sousa and Krzeminski off. They get ambused and Krzeminski gets killed. Peggy and Jarvis rescue Howard. Peggy retrieves the Blitzkrief Button, discovering Cap’s blood inside. 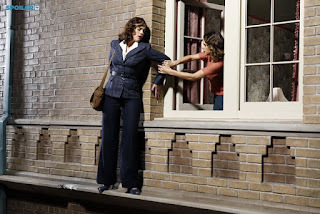 After Peggy confronts Howard, an assassin comes for her. Flashback to 1937, the Red Room trains assassins. Peggy intercepts a message and recruits the 107th regiment to help the SSR. The SSR and the Howling Commandos infiltrate the Red Room. They bring Ivchenko back with them. 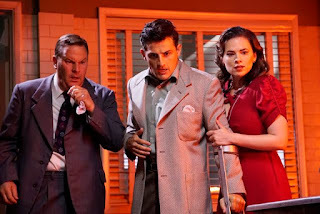 Peggy and Jarvis try to track down a Red Room spy. Sousa investigates Peggy. 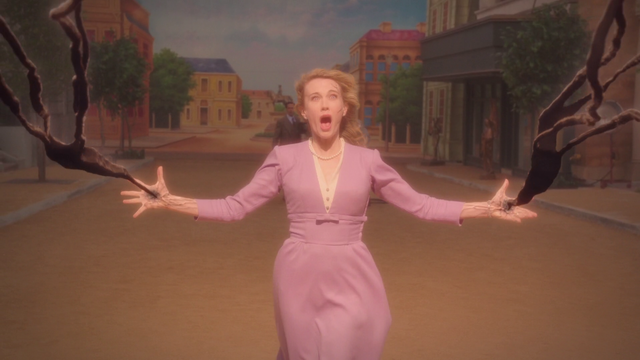 The SSR goes after Peggy and Dottie stops her from escaping. The SSR interrogates Peggy. Jarvis brings a fake confession for Howard. Ivchenko steals Item 17 and leaves Dooley in an explosive vest. Dottie and Ivchenko deploy Item 17 at the movie theater, causing a massacre. Dooley dies in an explosion. Howard gets captured by Ivchenko/Fennhoff, who hypnotizes Howard to drop the Midnight Oil (Item 17) on New York. Peggy breaks Howard out of his trance. Dottie escapes and Fennhoff is taken into custody. The opening scenes of “Now is Not the End” recap Captain America’s “death” in “The First Avenger”. Soviet scientist Anton Vanko appears in “Now is Not the End”. His son becomes the main villain in “Iron Man 2”. The Red Room appears in “The Iron Celing”, which is where Black Widow says in “Age of Ultron” that she was trained. Armin Zola, who appeared in “The First Avenger” and “The Winter Soldier” appears in prison with Fennhoff in “Valediction”. The first season of Agent Carter was unsettling for me, but in a productive way. In a smaller way, it was like “Black Panther” and the discussion of racism. Taking place in the 40s, Peggy wasn’t exactly treated well by her male colleagues. It was unsettling (and probably understated compared to the real 1940s). It was a perfect opportunity for me to evaluate how I treat the women in my life. I also liked the mini-series format. About the time I’d start getting bored, the climax of the season happened. Peggy captures Dottie. Peggy goes to LA to help Sousa with a case. They investigate Isodyne Energy, question Calvin Chadwick, and rescue Jason Wilkes. Wilkes tells Peggy about Zero Matter. Wilkes and Peggy steal Zero Matter. In a confrontation, the Zero Matter absorbs Wilkes and infects Whitney Frost, who frames him. Sousa discovers Forst is scientist Agnes Cully. Peggy and Howard discover Wilkes stuck in the Zero Matter. Frost sends an assassin to kill Peggy after a confrontation. Growing up, Frost/Agnes Cully’s scientific ability is shunned before becoming actress Whitney Frost. Young Peggy buries her adventurous side until her brother dies. In the present, Frost experiments with her Zero Matter power. Wilkes shows Peggy his Zero Matter powers. SSR infiltrate Roxxon. Peggy fights Frost. The SSR try to stop Wilkes from disappearing. With Dottie's help, they go after Frost, who meets with the Council of Nine. Frost kills half the Council, including Chadwick. Thompson captures Dottie. Frost interrogates Dottie. Frost's Zero Matter makes Wilkes tangible again. After Frost shoots Ana Jarvis, Dottie escapes and Masters takes control of the SSR. Frost creates an atomic explosion, which absorbs Wilkes. Frost captures Peggy and Jarvis. Peggy and Jarvis escape. Frost absorbs the Zero Matter. Peggy's team uses Gamma Cannon to separate Frost from the Zero Matter. The Zero Matter is related to the Darkforce, involved in the powers of Daniels in “The Only Light in the Darkness” and Krupin in “Parting Shots”. The Darkforce Dimension (where Zero Matter originates) is part of the Multiverse introduced in “Doctor Strange”. Sousa’s fiancée Violet was portrayed by “Sarah Bolger”, who also played Princess Aurora on “Once Upon a Time”. Aurora was similarly caught in a love triangle. Though the series ended with Sousa and Peggy in a relationship, it is unlikely that Peggy married Sousa. As stated in “The Winter Soldier”, Peggy’s unnamed husband was saved by Captain America in “The First Avenger”. I enjoyed Season 2 less than the first. Maybe it was because of the extra two episodes? Maybe it was less action? I’m not sure. There was also less of Peggy forcing herself to be assertive as a woman. Other than an episode with her backstory, there was less development with Peggy’s character. 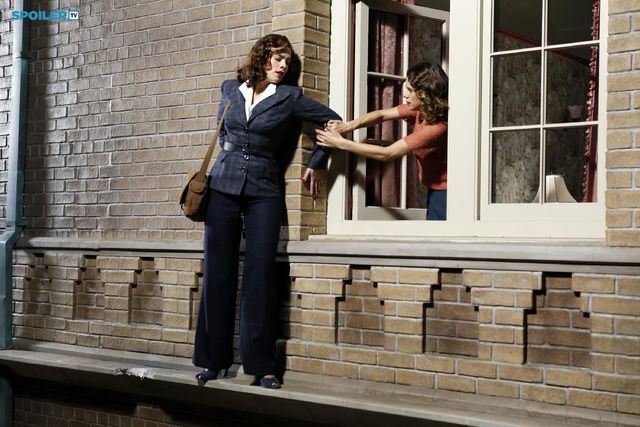 Thoughts on Agent Carter? Probably would have been good to have the series wrapped up a little nicer, but at least each season was a self-contained story. As a result, other than Peggy’s husband, I don’t see any loose ends to be concerned about. Overall, good mini-series. Yet another TV show is coming out based in the DC Universe but is only tangentially connected to anything worth making a show out of. 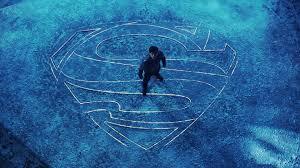 I'm of course talking about Krypton, SyFy's new enterprise based on JorEl, the adventures of Superman's biological dad. Normally we don't get much from JorEl except that he was a scientist who threw his baby in a rocket and launched it at Earth right before his own planet exploded. Occasionally we've got stuff like the crystal tech that allows him to talk to Superman and give him random advice and honestly that's all we really needed. JorEl's part in the story was done. On Krypton he was a scientist (presumably a geologist since he figured out Krypton would explode but he also built a rocket so whatever) and while a couple comics here and there have mentioned him we don't need much more. This is an overall problem I'm seeing with DC and Marvel universes. They keep making TV shows about either the long drawn out origin story of super heroes, IE Smallville and Gotham, or the company's D List, IE Supergirl, Arrow, The Defenders and the Legends of Tomorrow. We'll let Marvel slide on this one because they seem to be legitimately trying to make a massive world with varying degrees of success but every one of DC's shows take place in different universes. 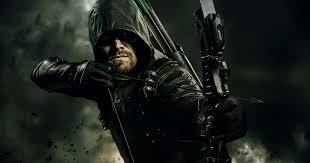 The CW shows have a similar problem in that they focus on the part of the super heroes lives that we don't care about. 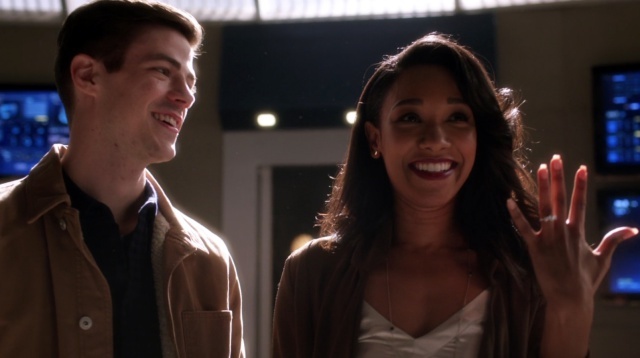 Arrow and Flash's bigger plots are the always tired "Will they/Won't they?" TV storytelling trope. Between every awesome battle we have to stop the flow and talk about weather or not Oliver will tell whoever that he loves her or if Supergirl can date whoever-nobody-cares-man. I don't want to see Superman's dad, or Bruce Wayne's training, I want to see Superman and Batman. If DC took all the money they keep pouring into these idiotic backstories and romantic comedies into one show about the Justice League, how they got together and them doing a monster/villain of the week thing, I guarantee it'd be more popular than Superman: Before The Cape could ever be. They could get smaller unknown actors to play the major parts, introduce other heroes later if they need to rotate the team as happens in comics, and maybe even make spin-offs as they need to. Tell me you wouldn't watch this show. So I’m not much of one for Chinese New Year (I frankly can’t tell you the significance of the Chinese Zodiac) but in honor of the year of the dog, I wanted to share some of the goodest boys on TV and movie. 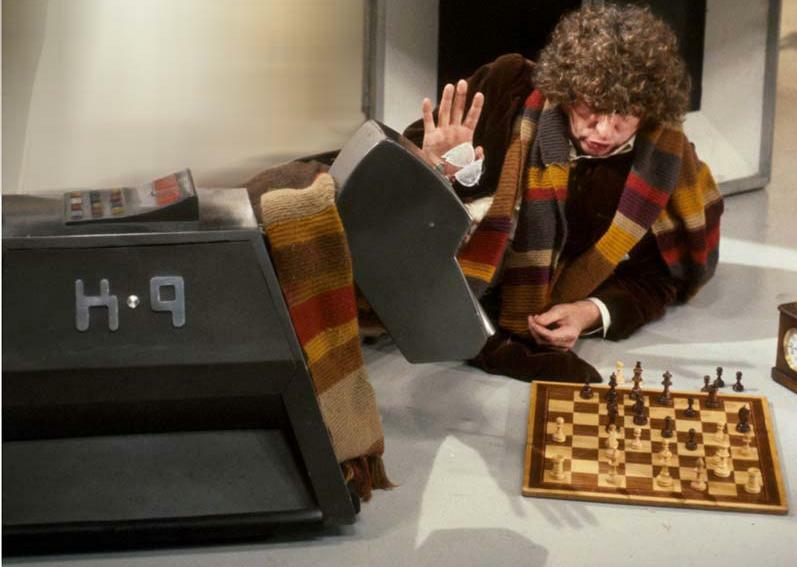 The Fourth Doctor picked up the original K-9 in “The Invisible Enemy” and he was left on Gallifrey with Leela. The Doctor already had K-9 Mark II at the beginning of “The Ribos Operation” when Romana arrived and he stayed with Romana in E-Space. K-9 Mark III was sent to Sarah Jane Smith for Christmas 1978 in “A Girl’s Best Friend” and returned with her in “School Reunion”. 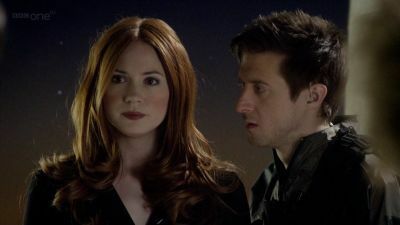 After Mark III was destroyed, the Tenth Doctor left Mark IV with Sarah Jane, which continued to be her companion in her spin-off series. Super sassy and super intelligent. Always loyal to the Doctor and his companions, K-9 is definitely a good dog. I especially loved his banter with the super-computer “Mr. Smith” during the Sarah Jane Adventures. 11/10 loyal good boy. The goodest of all the dogs. So innocent. So loyal. He’s everything I aspire to have in a dog. He started as Muntz’s lackey, but was so innocent and just wanted to capture Kevin so that he would be loved. So when he was taken in by Carl and Russell, is it any surprise that Dug jumped ship and chose a new master? But yes. 12/10 good dog. He’s just met you and he loves you. What better reason is there? He’ll also hide under your porch because he wants to stay. He’s a good listener and he loves to fetch. Just don’t put him in the cone of shame. It makes him sad. 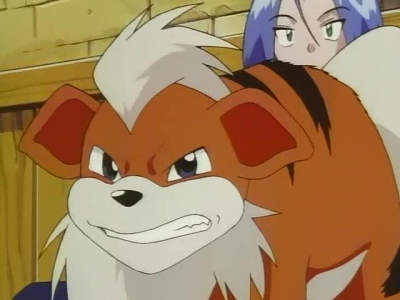 Team Rocket’s James had a pet Growlithe growing up. When returning to his family’s estate in the Indigo League (Season 1) he reunited. When James’s parents tried to manipulate him into marrying the creepy Jessiebelle, Growlie came to James’s rescue and helped James evade and defeat the wretched Jessiebelle. The real question is why didn’t James take Growlie with him after that? First of all, Growlithes are adorable anyway. I can’t get enough of them on Pokémon Go. Second, it’s hard to not love a pooch who is so loyal and loving after all those years. 10/10 loyal Poké-pooch. What a smart intelligent dog! A bit weird too. Who sleeps on the point of a dog house? All the same, he writes, he knows history, and he knows how to have fun. 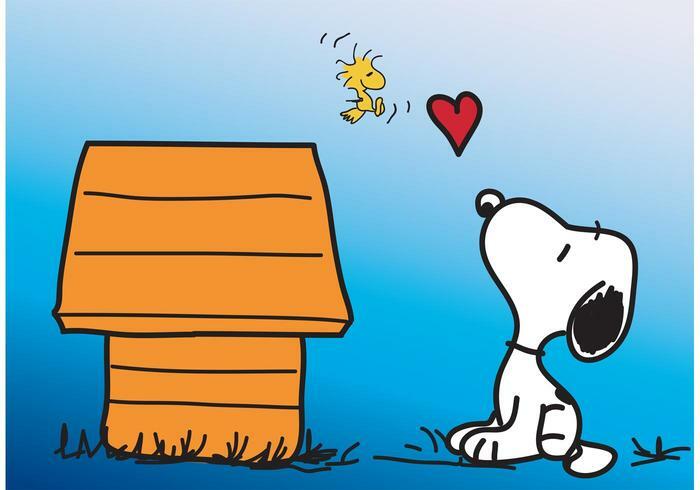 And with how unlucky Charlie Brown is, he’s very protective too, even if it’s in the oddest ways. 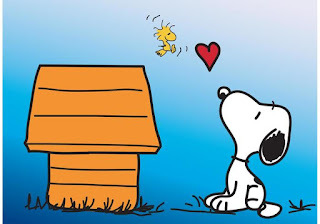 Like in the Peanuts movie, what dog jumps out on the dance floor to pump up their owner? 10/10 imaginative pup. 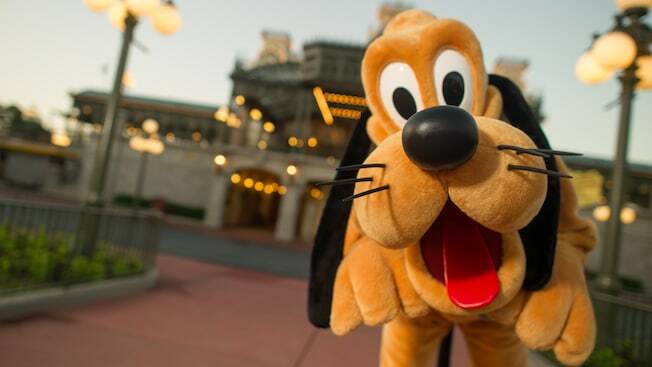 Who can forget Pluto, Mickey’s doggo? Now let’s not get into the Goofy/Pluto dog debate. Let’s just talk about how wonderful Pluto is. No matter what short or series we’re talking about, Pluto is so loyal to Mickey and he does everything he can to love Mickey and keep him safe (even if it’s just from chipmunks). 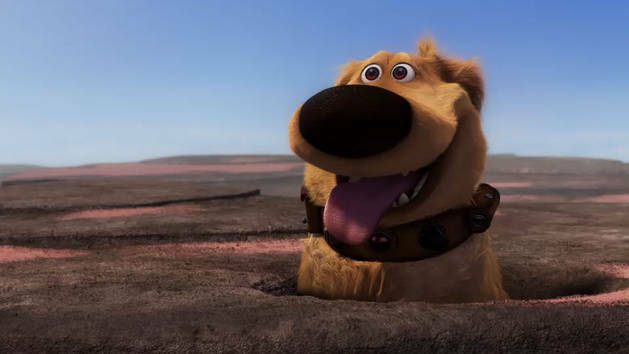 13/10 Disney top dog. Not a dog per se, but he’s an honorable pupper in my book. Although he got off to a rocky start, he helped bring LIlo’s family together and change their lives for the good. 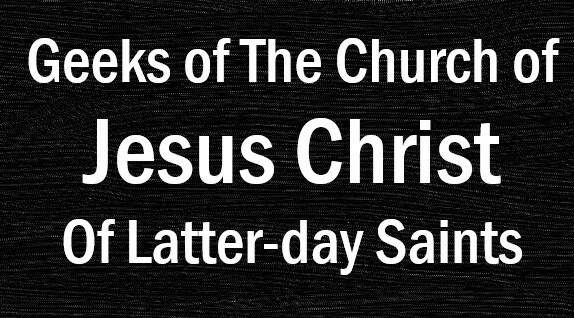 In the sequels and the TV series, he was super helpful in rounding up his 600+ cousins and teaching them to be good. That’s not to say that Stitch is good. He’s got a mischievous streak the size of his badness level. He’s protective and faithful to Lilo. 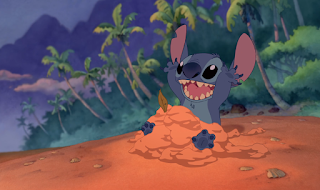 He got aggressive when Cobra, Gantu, and others each tried to take Lilo away from her family. So mischievous he may be, but he’s a good doggo in the end. 15/10 mischievous pupper; he’ll steal your left shoe, but he’ll also love you to death. Who’s your favorite TV/movie pupper? I was a little bit late getting my tickets to Black Panther, but was lucky enough to still find a decent seat at the AMC just down the road and saw Black Panther opening night in Dolby Cinema. The movie follows King T'Challa after the events of Captain America: Civil War, as he returns to Wakanda and is crowned as King. 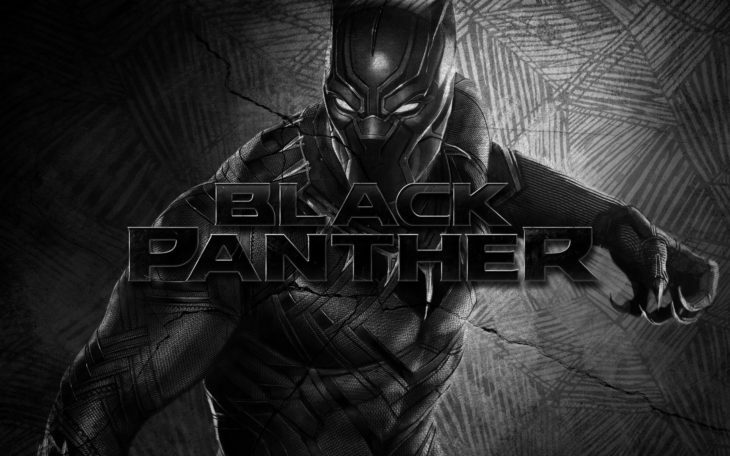 From an old family foe to an unexpected challenge to T'Challa's reign as sovereign and King, the movie is a breath of fresh air in an increasingly crowded Marvel Cinematic Universe and sets itself apart as an entertaining movie, a moving story, and a much needed commentary on modern social issues. Tackling Modern Issues: This is one of the few Marvel Movies that brought up uncomfortable, but necessary, parts of our history and our past e.g. slavery, colonization and imperialism, racial inequality, and so forth. I appreciated the tasteful way that these subjects were woven into the storyline -- but it is the first time I recall modern issues being tackled in a Marvel movie. About time! 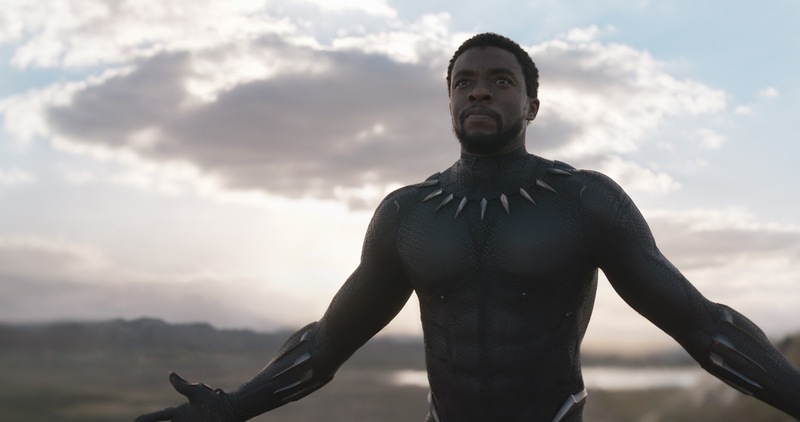 A Black Superhero: The MCU is white. Pasty white. Too white. Chadwick Boseman's stellar performance in Civil War and in his own title movie sets him apart in my mind as a new favorite. Music: I could write pages and pages about the music, but needless to say one of theist memorable parts of the film for me. Beautiful, at times haunting, and inspiring soundtrack! 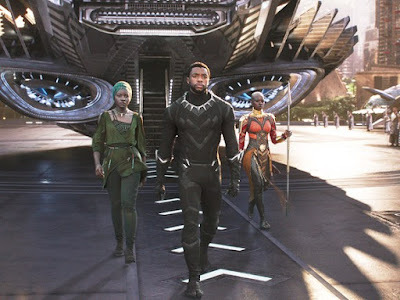 Costume and Set Design: Outside of the bad-a** costume of the Black Panther himself, the Wakandan wardrobe and the movie's set design is simply stunning and breathtaking. Spirituality: I found this to be a much more spiritual film than I was initially expecting, or used to, in the Marvel Cinematic Universe (which is saying something considering Thor is a Norse God....) Again, much needed spiritual addition to the MCU after the almost-straight-up comedies that Marvel has recently released. Character Complexity: Instead of a traditional "good guy fights bad guy" scenario, I appreciated the character complexity and development in Black Panther. Not all beloved father figures are perfect. Real moral dilemmas exist, such as nationalism vs. individual and familial loyalty, and noninterventionist pacifism vs. racial equality and justice. In addition to being entertained, I was moved and inspired. Honestly it's hard to complain about anything in Black Panther, but here are a few thoughts I had. Integration of MCU characters: At this point, well into stage three of the MCU, I was expecting more integration of Marvel Characters at some point in the story other than the credits. While not an absolute, for me it would be a "nice to have" element to the story. To be honest, Black Panther didn't need it....but who doesn't love a cameo here and there! 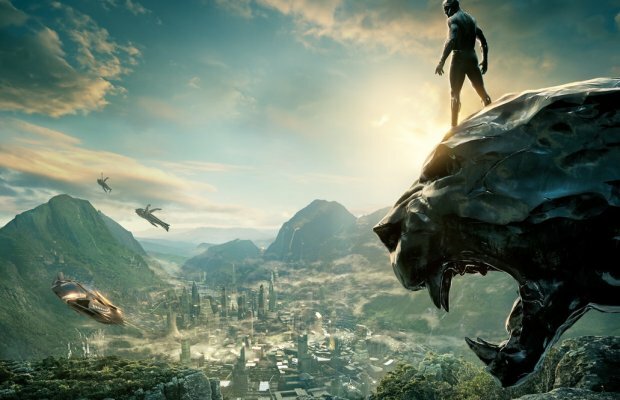 Humor: I LOL'ed my way through Thor: Ragnarok, and Avengers, and while Black Panther had great humor, it was not as straight up funny as some of the other films Marvel has produced. Again, I think in this case it was not needed. Black Panther is a different Marvel movie, at this point in time one of its kind. I was fine with the different kind of Marvel film...but for those who are used to the puns, one-liners, and antics of Robert Downey Jr. and Chris Hemsworth, this film has a different flavor and humor to it. Overall, a solid 8.5 out of 10 or dare I say even a 9, depending on what you are looking for in Marvel Cinema. I'm stoked to have Black Panther return in Avengers: Infinity War. What did you think of Black Panther? What did you like or dislike about the film? What are your expectations for Infinity War?